MADAME CLICQUOT CREATED THE FIRST KNOWN BLENDED ROSÉ! Exactly 200 years ago, Madame Clicquot innovated and completely re-created the rosé champagne of the time. She had an audacious new vision in which color, taste, and aroma were vital to the quality. So she broke with accepted norms, and re-created the process of making rosé champagne. Madame Clicquot was very fond of red-wine grape parcels from the Bouzy region of Champagne, and she elaborated her own red wine from the area. Inspiration struck, and in 1818 she decided to blend this with her still white wines. The result was a stronger rosé champagne, with definite character. Her talent in re-creation gave us the first known blended rosé champagne: Veuve Clicquot Rosé! Madame Clicquot’s vision for her blended rosé champagne was a wine with character – in taste, aroma, and color. To achieve it, the blend was an essential element, a creative act. 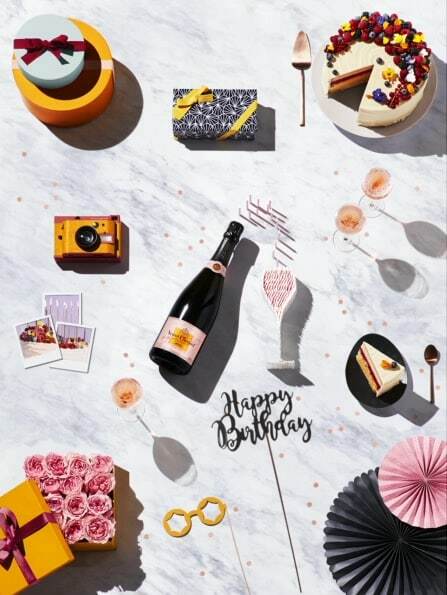 Today, as in 1818, Veuve Clicquot Rosé is a fine example of our House’s blending savoir-faire. Cellar Master Domonique Demarville and his team of experts select excellent quality red wines and still wines from some of the most sought-after vineyards in Champagne, to find the flavors and characteristics that perfectly express the Veuve Clicquot Rosé style. AN ANNIVERSARY CELEBRATION MEANS CAKE ! 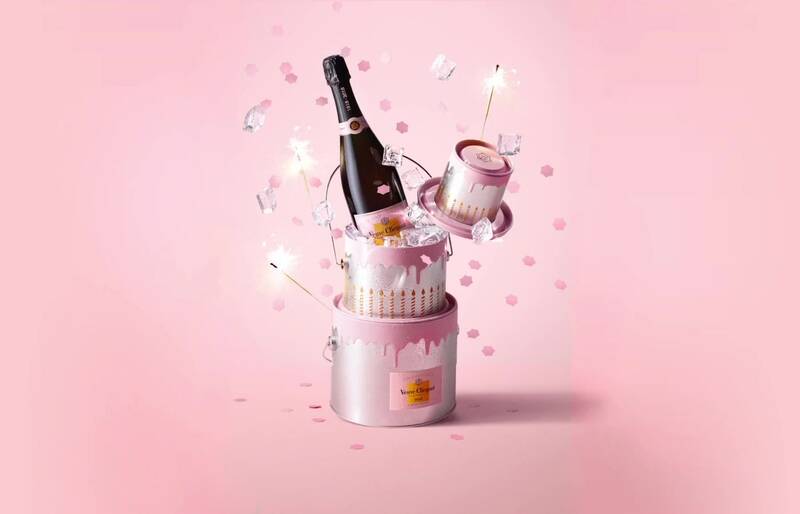 Madame Clicquot invented first known blended rosé champagne 200 years ago. And we believe that every anniversary celebration deserves a cake. 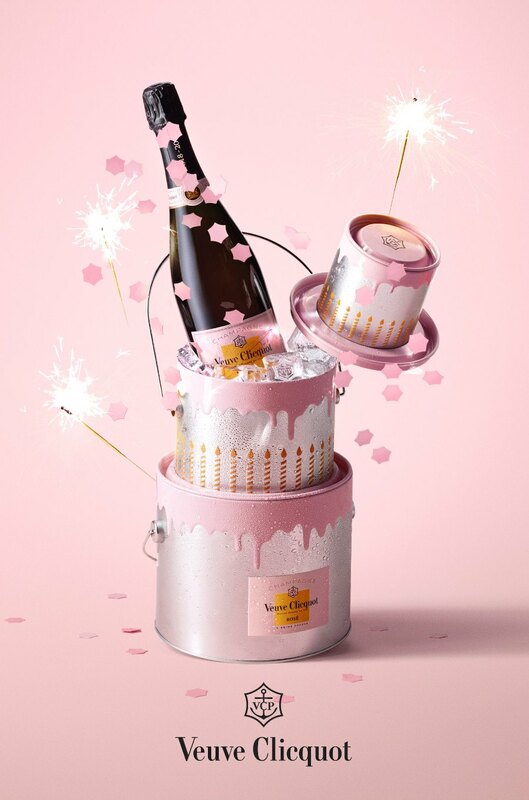 The Veuve Clicquot Birthday Cake is the perfect present, and a joyful, stylish way to celebrate a birthday or anniversary this year. Don’t forget to personnalize it!